After winning back-to-back championships with the Golden State Warriors, JaVale McGee signed a one-year, veteran’s minimum deal with the Los Angeles Lakers in free agency last summer. In search of a bigger role and minutes, McGee was arguably the best-valued free agent to begin the 2018-19 NBA season. Through the first eight games, McGee averaged 15.5 points (63.2 percent shooting from the field), 7.5 rebounds and 3.3 blocks in 27.1 minutes. Unfortunately, McGee saw his minutes decrease after the Lakers signed Tyson Chandler and he missed seven games to end 2018 due to pneumonia. Since then, the 31-year-old has had his fair share of highs and lows. 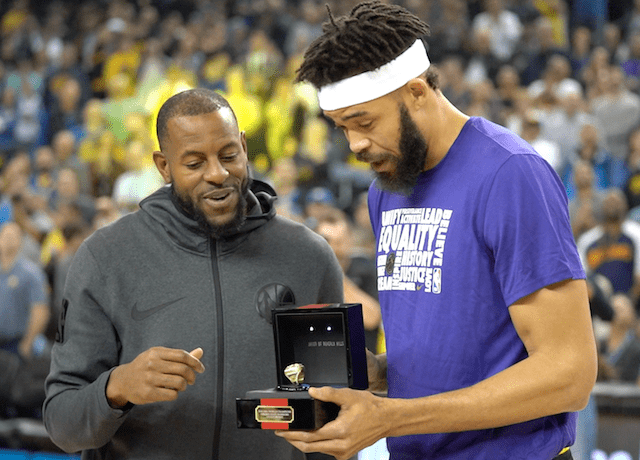 Since McGee did not play against the Warriors on Christmas Day, he finally received his second championship ring from Andre Iguodala before the 115-101 loss on Saturday. After it appeared McGee’s career in the NBA was potentially over, the Warriors gave him an opportunity heading into the 2016-17 season. While McGee played limited minutes during his two seasons with Golden State, he started nine out of 13 playoff games and helped them sweep the Cleveland Cavaliers in the 2018 NBA Finals. 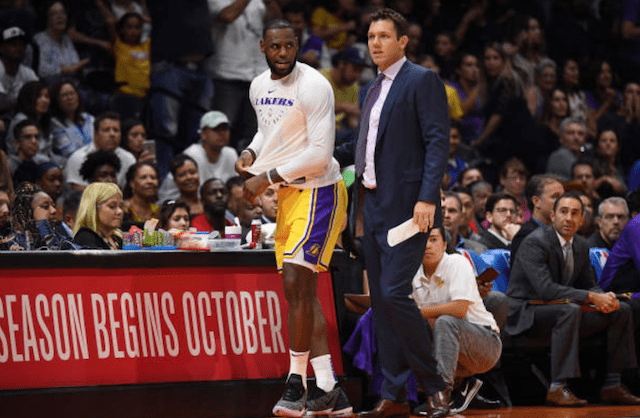 With McGee being one of four players with championship experience on the Lakers, the hope is he can get back to his ways as a rim protector and finisher.